Last month Vivo launched its V15 Pro smartphone in India with features like a 32MP pop-up selfie camera, triple rear cameras with a 48MP sensor, in-display fingerprint sensor and more. Now, Vivo has launched a toned down version of V15 Pro, dubbed as V15 in India. Vivo V15 comes with some lesser features from V15 Pro like an LCD screen instead of Super AMOLED panel, Helio P70 compared to Snapdragon 675 which is inside the V15 Pro. It has the same 32MP pop-up selfie camera but features a 12MP main sensor on the back instead of a 48MP. It also doesn’t have the in-display fingerprint sensor. The Vivo V15 sports a 6.53-inch Full HD+(2340 × 1080 pixels) LCD display with Corning Gorilla Glass 5 protection. It is powered by MediaTek Helio P70 processor paired with 6GB RAM. It packs 64GB storage that is expandable up to 256GB. The smartphone runs on Android 9.0 Pie with Funtouch OS 9 on top. In terms of camera, it has a triple camera setup too but comes with a 12MP primary dual pixel camera with f/1.78 aperture. The 5MP depth sensor with f/2.4 aperture and 8MP 120-degree Super wide-angle camera with f/2.2 aperture is the same. Also, the 32MP front camera with f/2.0 aperture is the same. It has the back-mounted fingerprint sensor. Connectivity options include 3.5 mm audio jack, Dual 4G VoLTE, WiFi 802.11 ac dual-band, Bluetooth 4.2, GPS/GLONASS, and Micro USB Port. It packs a 4000mAh battery with Dual-Engine fast charging support. 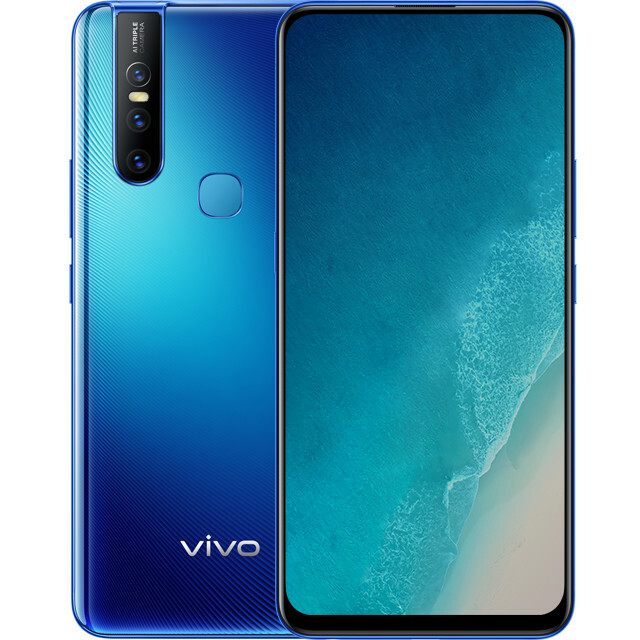 The Vivo V15 price has been set at Rs. 23,990. 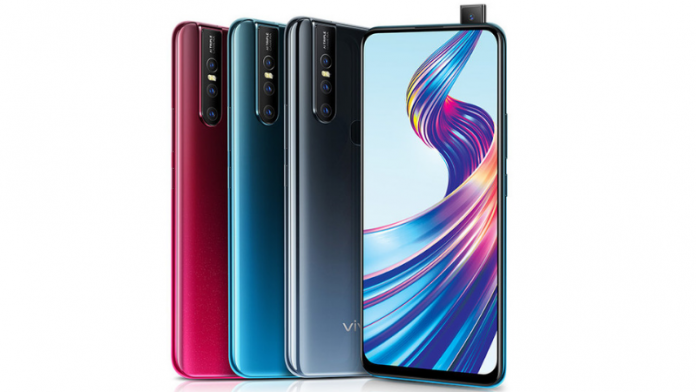 It comes in Royal Blue, Frozen Black, and Glamour Red colors and will be available from Vivo online store, Amazon, Flipkart, Paytm Mall, and offline stores starting from April 1st. If we talk about launch offers, SBI customers will get 5% cashback. There is extra Rs.2,000 discount on the exchange. Jio users will get benefits worth Rs. 10,000 and up to 3.3TB data. The company also offers one-time screen replacement within 6 months of purchase.